Usually when you come out of a movie, you have a strong reaction. You loved it, you hated it, you had fun. 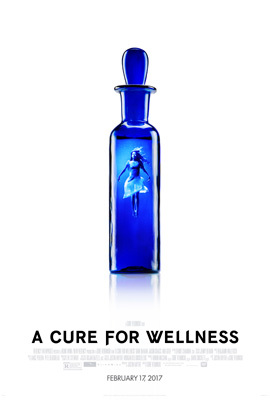 But with A Cure for Wellness… well, I’m not sure how I felt about it. There were some parts of it that I really loved, and parts that I hated. 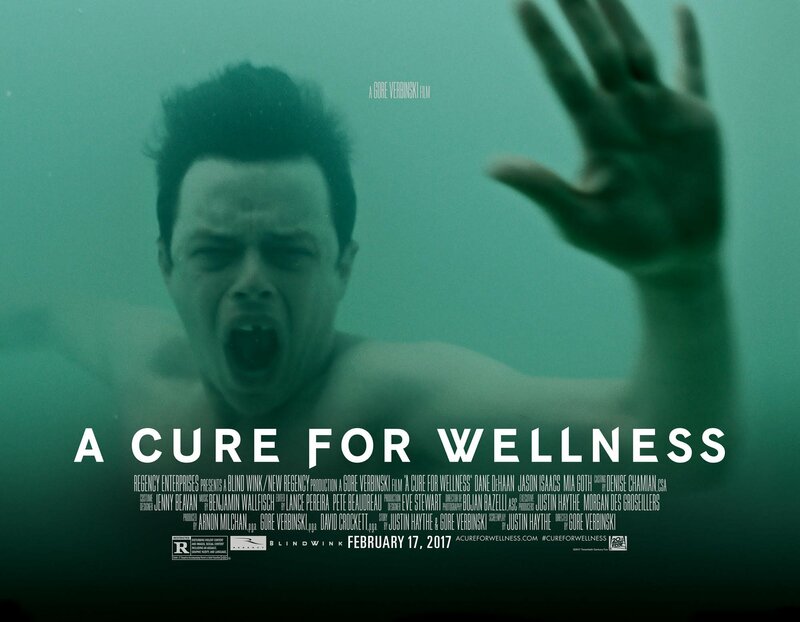 In A Cure for Wellness, an employee at a high-end New York financing company is, essentially, blackmailed by his board of directors into going to retrieve the head of the company from a desolate, high-end Swiss spa so he can sign off on a major merger. Lockhart is a cold, hard money man whose only companion in life is his job; his only goal is getting ahead. He has misgivings about collecting Pembroke from the spa, but he doesn’t want the board to rat him out to the SEC, so he gives in. Lockhart figures it won’t take long to get Pembroke onto the plane when he learns what is at stake, but the spa has rigid rules about visiting hours. Lockhart finally signs in to see the director, who promises Lockhart can see Pembroke that evening. While Lockhart is being driven back to town to find a hotel, his car is attacked by a stag. When Lockhart wakes, he discovers he has been checked into the spa. He has a broken leg and has been unconscious for three days. Reluctantly, Lockhart agrees to stay after Volmer, the attending physician, promises he alerted his company. Lockhart begins to explore the sanitarium, looking for Pembroke. He is the youngest “guest” there by decades, and there seems to be an exceptional importance placed on staying hydrated and aquatic treatments. The spa was built on an ancient aquifer, and has a haunted history. As the story goes, a baron owned the land and believed that only his immediate bloodline was pure enough to inherit the land. He married his sister in the hopes of having an heir, but the villagers were horrified, killed the sister, and burned the castle to the ground. Other variations on this story are whispered about throughout the movie, including that the sister was infertile and that experiments were being conducted on the land. Things are weird at the spa. The nurses all look like they are hypnotized. Most of the treatments look like they were created in the early 1900s. When Lockhart goes into the steam baths, the walls seem to close around him. When he is submerged in a massive sensory deprivation chamber, eels swim out and attack him. Or maybe it is all in his head. One thing that isn’t in his head is Hannah, a woman-child of indeterminate age who is under Volmer’s care after her mother died and her father left. The two become friendly, largely because he is the first person she has seen around her own age. Lockhart’s agitation grows as the days pass and (after an initial, strange encounter) he can’t find Pembroke, nor get a straight answer out of any of the spa employees/his captors. He and Hannah even escape to the village at the bottom of the hill so that Lockhart can get a second opinion on Pembroke’s stolen medical files. It is around this point that things get… weird. Up until this point, I was totally into A Cure for Wellness: creepy haunted castle, Stepford-like patients, and weird medical procedures. But then, without giving away any spoilers, the movie took a sharp right turn and changed direction, changed tone, almost seemed to become a different movie. The first half of A Cure for Wellness is stark, austere, and a pure joy to look at. The shots are exquisitely framed, the color palette crisp and cool, and it doesn’t hurt that the castle director Gore Verbinski is shooting in is perfection. It is the perfect visual aesthetic for a “slow-burn” thriller. Then there is a mood shift, and the last thirty minutes or so are much more action-packed (quicker cuts, more color, less severe sets), but at that point it feels like a different movie. Again, I don’t want to give anything away, but it goes from a slow-burn thriller to a monster movie, a soap opera, and a gothic period piece. A Cure for Wellness is long, two-and-a-half hours long – and you feel it. There were at least a half-dozen different scenes that I thought for sure would be the ending, then another scene would pick up and introduce a new, strange plot point. It was like Verbinski and screenwriter Justin Haythe had too many ideas, so rather than giving them their own film, or whittling them down, they just crammed them all in. A lot of the medical procedures, which are the bulk of the film, are not satisfactorily paid off. How much was real, and how much was in Lockhart’s mind? Are the eels — a continuing theme throughout the film — part of the cure or part of the disease? Are the patients actually being made ill so they feel the need to stay, or are they drugged to want to stay? What starts as an intense, bizarre, creepy haunted medical horror is thrown to the wayside in favor of more obvious horror motifs (and a distinct “ick factor”). A Cure for Wellness looks stunning, and is worth the price of admission for the first two-thirds of the film, but be forewarned: it all falls apart in the final act.